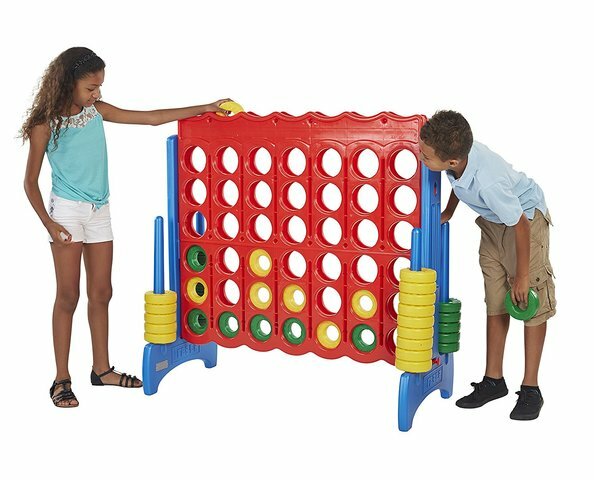 Giant Connect Four Game Rental | BounceGeeks.com Richmond, VA.
Let's set up a Connect Four tournament! The classic connect four game has been reinvented into a giant sized outdoor attraction! Gather the gang, from toddlers to adults everyone will have fun! Very easy to set up and play, with convenient holders to stack up the rings. This great game can be used for any variety of events.